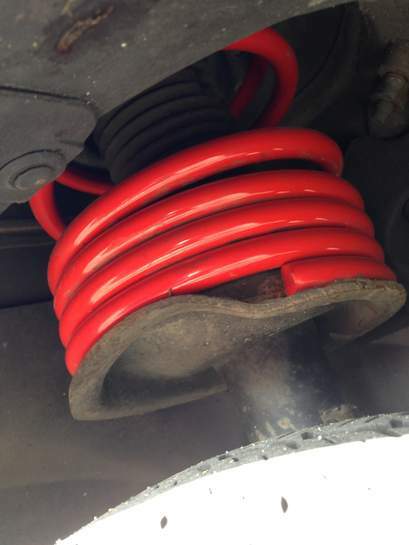 which way to fit progressive lowering springs correctly? 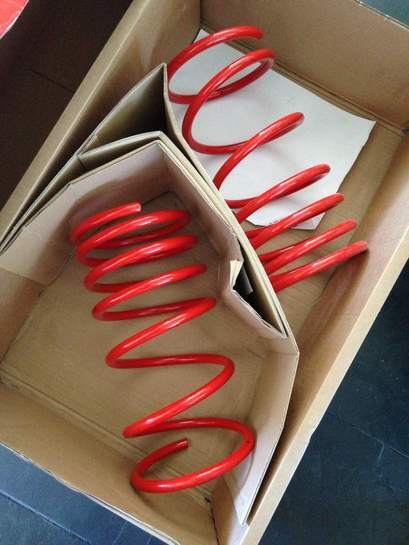 I've just bought 30mm lowering springs for the front of my car to improve handling. Had it done by a garage and I am not sure if they were put on correctly? my car looks way too high at the front from what i can remember on stock springs and obviously I have bought the right springs. Was wondering if they have put the springs wrong way up or what? I've heard that progressive springs should be put where the coils are closer to each other on top not like the one on my car. Normally the tight wound end would be at the top. When they are designed the other way round they have a narrower spirel at the top. Normally the tight wound end would be at the top. When they are designed … Normally the tight wound end would be at the top. When they are designed the other way round they have a narrower spirel at the top. do you think i should justr wait and let them settle? By having them this way round it will result is a crashy ride at lower speeds as they have already taken the laden weight or the car and are already fully compressed. When they are the other way round they will be more progressive at the rate they compress. By having them this way round it will result is a crashy ride at lower … By having them this way round it will result is a crashy ride at lower speeds as they have already taken the laden weight or the car and are already fully compressed. When they are the other way round they will be more progressive at the rate they compress. The weight load during normal driving is the same which ever way they are mounted as to the ride height did you measure the vehicle with the old springs installed if not find a similar vehicle and measure it ? Springs do settle when first fitted. 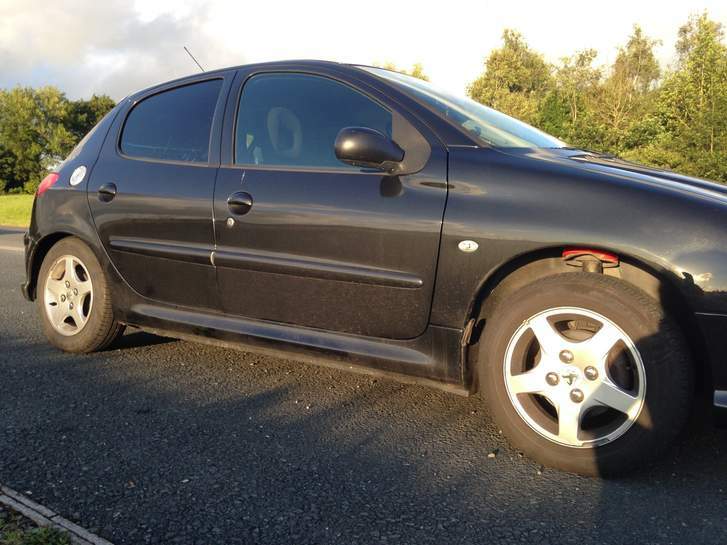 But that looks very high - are they the correct springs? dont worry I have only adds £2.50 a month extra or £30 if i pay full. Springs do settle when first fitted.But that looks very high - are they … Springs do settle when first fitted.But that looks very high - are they the correct springs?